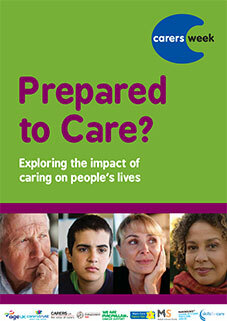 In preparation for Carers Week 2013 in the United Kingdom, a group of charities set out to explore how much, as a society, they are prepared to care. Through an online survey, carers in the United Kingdom were asked to share the impact that caring had had on their lives and their experiences of gaining support from professionals and services. The report generated as an outcome of this survey, Prepared to Care? Exploring the impact of caring on people’s lives, shares the personal accounts of carers as they discuss the realities of caring for a family member or friend. You can also visit the websites of Carers UK, Ireland’s Carers Association, and the Carers Trust to learn how they support family carers in their regions.